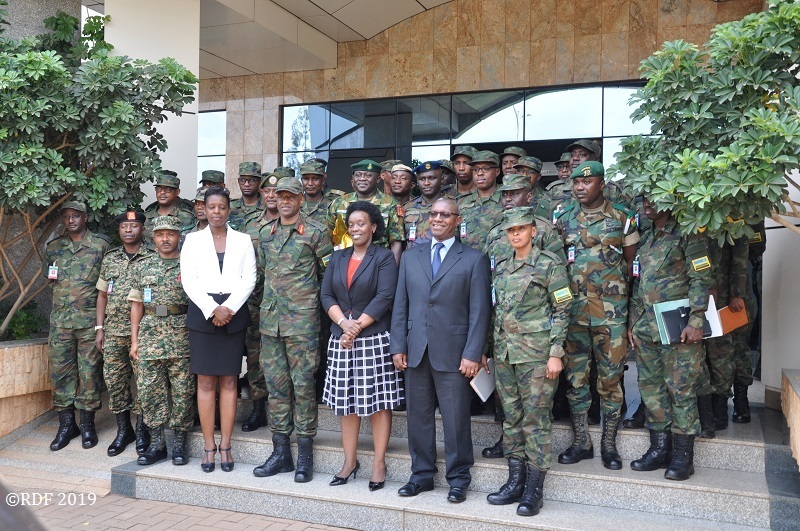 Rwanda Defence Force Command and Staff College (RDFCSC) students started today a study tour as part of their Senior Command and Staff Course curriculum. During the tour, students intend to research on sustainable ways to eradicate malnutrition in Rwanda, as an aspect of human security threats facing the country. “The Government has placed malnutrition high on its priority list, to be eradicated under the Sustainable Development Goals, and is taking measures to turn the tide on stunting by involving all stakeholders. The Ministry of Health therefore is thankful to RDFCSC for their support and it is hoped that the research outcomes will be of a great importance for the journey towards completely eliminating malnutrition in the whole country,” said Dr Gashumba. “It is against this background that Senior Command and Staff Course intake 07 is touring the whole country in conducting a research with the aim to join hands with other stakeholders in eradicating malnutrition countrywide,” he said.